Venezuelan President Nicolas Maduro reaffirmed on Monday his rejection of European states' ultimatum to hold a new presidential vote in Venezuela, emphasizing the legitimacy of the recent election. Venezuelan President Nicolas Maduro reiterated on Monday that he would stay in office for the next six years regardless of the recognition of opposition leader Juan Guaido as the country's interim president by a number of EU nations. "I will continue to rule [the country] together with the people for the next six years," Maduro said in an address to the military, aired on Twitter. Commenting on the recent decision by a number of European countries to recognize Guaido as the country's interim president, the Venezuelan Foreign Ministry said that it would review its relations with those countries. "The government of the Bolivarian Republic of Venezuela will comprehensively revise its bilateral relations with these countries starting now," the ministry said in a statement. 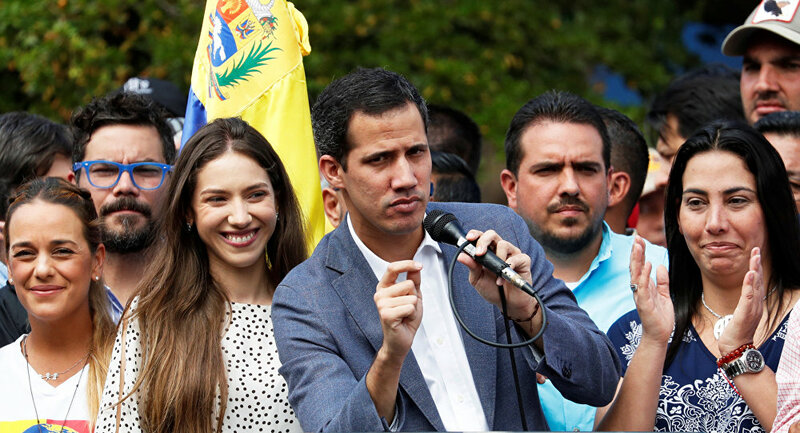 Earlier in the day, a total of 10 European countries announced that they had recognised Guaido as the country's interim president. "The eight-day period for convening free democratic and transparent elections in Venezuela has expired. The Kingdom of the Netherlands recognizes Juan Guaido as interim president of Venezuela. 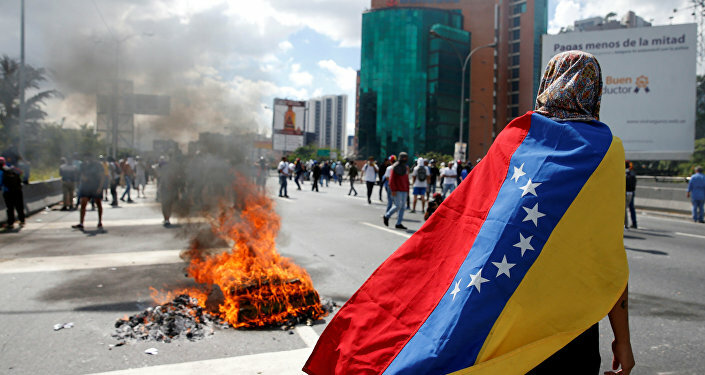 We want freedom and democracy to return to Venezuela as soon as possible," Dutch Foreign Minister Stef Blok said. French President Emmanuel Macron has said via Twitter that "Venezuelans have the right to express themselves freely and democratically. France recognizes Guaido as "president in charge" to implement an electoral process." — Emmanuel Macron (@EmmanuelMacron) 4 февраля 2019 г. "I recognise the president of Venezuela's assembly, Mr Juan Guaido, as president in charge of Venezuela," Spanish Prime Minister Pedro Sanchez said in a televised statement. At the same time, British Foreign Secretary Jeremy Hunt has turned to Twitter to express the UK's support for the opposition leader. Austrian Chancellor Sebastian Kurz said on Twitter: "The regime [of Nicolas] Maduro has so far refused to accept free and fair presidential elections. For this reason, from now on, we consider Juan Guaido as the legitimate interim president according to the Venezuelan constitution." — Sebastian Kurz (@sebastiankurz) 4 февраля 2019 г.Swedish Foreign Minister Margot Wallstrom told Sveriges Radio earlier on Monday that Sweden supported Guaido and considered his leadership legitimate. "According to the information I have, Italy, at an informal meeting of the foreign ministers of EU member states on 31 January — 1 February in Bucharest, vetoed a statement on behalf of the EU, which was to be made by the head of European diplomacy Federica Mogherini and which said that the EU would recognise Guaido if new presidential elections are not organised," the source said. Rome has yet to officially confirm the information, however, this comes just days after Italian Deputy Foreign Minister Manlio Di Stefano said that Italy did not recognise Venezuelan opposition leader and the head of the National Assembly as the country's interim president amid the escalating political crisis in the South American country. The information comes just hours after Nicolas Maduro reaffirmed his rejection of European states' ultimatum to hold a new presidential vote in Venezuela. On January 26, European countries issued an ultimatum to the constitutionally-elected Venezuelan President Maduro, saying that he had eight days to organise an election or they would recognise opposition leader Juan Guaido as the country's interim president. Earlier, Guaido, proclaimed himself the country's interim president and was immediately recognised by the US as well as a number of other countries.